The retail carnage continues as Sears struggles to stay afloat. Despite already shuttering hundreds of stores in recent years, ailing department store operator Sears Holdings Inc. (SHLD will shut down 63 more Sears and Kmart stores, the latest step as it hobbles to a likely bankruptcy. Among them, 45 Kmart stores and 18 Sears stores will close in late January, Sears said in a memo to its employees on Thursday, Nov. 2. While the stores will remain open through the holidays, liquidation sales will begin as soon as Thursday, Nov. 9. The closing Kmart stores are located in Alabama, Arizona, Florida, Georgia, Idaho, Illinois, Kentucky, Michigan, Minnesota, Missouri, North Carolina, Ohio, Pennsylvania, South Dakota, Tennessee, Texas, Virginia, Wisconsin and West Virginia. The states losing a Sears store are Alabama, Arkansas, Arizona, Colorado, Georgia, Massachusetts, Maryland, Pennsylvania, Texas, Utah, Virginia and Wyoming. Many of the Sears locations will first see their Sears Auto Center locations close next month. According to Fitch analyst Eric Rosenthal, Sears needs annual liquidity of $1.5 billion to $1.75 billion in 2017 and 2018. Secured debt due next year is about $1.4 billion, and while Sears has raised $1.4 billion in asset sales and a credit facility, "restructuring risk remains high, given reduced sources of liquidity via asset sales (150-160 unencumbered stores) and inventory liquidation proceeds from closed stores." 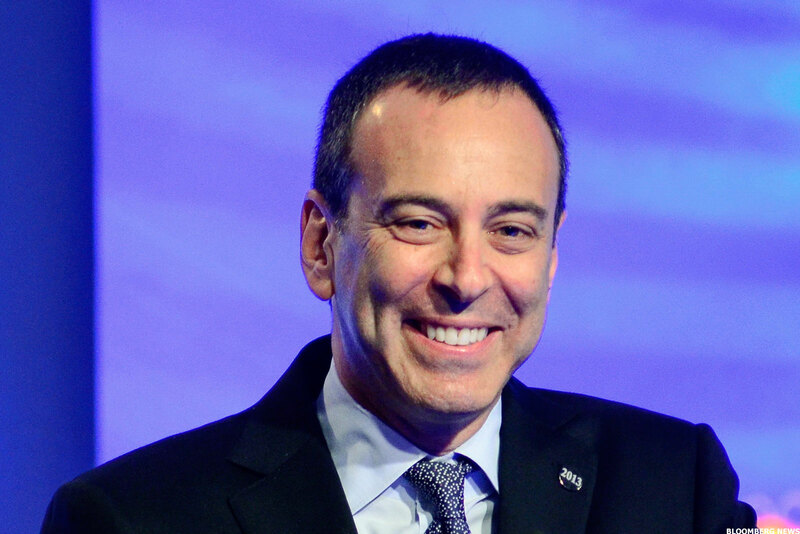 CEO Eddie Lampert is Sears' largest shareholder, with a 30% stake as of Oct. 5. His hedge fund, ESL Investments Inc., is Sears' third-largest shareholder with a 19.1% stake. Lampert and ESL are also significant Sears creditors. Just last Monday, Sears revealed that Lampert had loaned Sears $60 million, just a few weeks after Lampert loaned the company $100 million. Suppliers are losing patience, demanding cash payments for inventory or cutting ties altogether, as Whirlpool Corp. (WHR - Get Report) did on Oct. 23, severing a century-long relationship. Eddie Lampert, chairman and CEO of Sears Holdings. When Stanley Black & Decker Inc. (SWK - Get Report) acquired Sears' iconic Craftsman tool brand last year for an initial payment of $525 million, Sears agreed to continue stocking the brand through a royalty-free perpetual license agreement through 2032. If Sears lasts through 2020, it'll get another $250 million payment from Stanley for the brand, with subsequent annual payments determined by Craftsman sales through 2020. The risk of a Sears bankruptcy weighed on Stanley management. CEO James Loree cautioned analysts that the deal had been structured "in a way that minimizes risks to Stanley Black & Decker," including no assumed credit risk and no contractual obligation to supply Sears with Craftsman products "beyond what we do with them today, which is relatively small." Only 10% of Craftsman products were sold outside Sears and Kmart at the time of the acquisition, and Stanley is expanding the brand's reach. On Oct. 24, Stanley announced that Lowe's Cos. Inc. (LOW - Get Report) would stock the brand. Sears has been also trying to sell its Kenmore appliances, DieHard batteries and Sears Home Services businesses for over a year. On July 20, Sears partnered with Amazon.com Inc. (AMZN - Get Report) to sell Kenmore appliances on Amazon. Sears shares fell 4.6% to $5.18 in midday trading Friday. They've fallen 44.2% in 2017, while the S&P has risen 15.2%. Can Cryptocurrencies Solve What Traditional Lenders Cannot? Editors' pick: Originally published Nov. 3.